We are pleased to announce that Catherine Corbin, our Chicago health practice leader, was recently named to Engineering News-Record’s list of the top 20 midwest designers under the age of 40. ENR Midwest’s Top 20 Under 40 list celebrates young professionals in the field who are excelling in their construction or design careers. The award recognizes nominated individuals who exemplify leadership, career progress, and community involvement while simultaneously creating landmark projects for their region. Find great design career opportunities at CannonDesign. 33-year-old Corbin not only meets this criteria but surpasses it. Her talent, dedication and passion for her work makes her a notable architect and healthcare planner. Corbin currently leads a group of 84 healthcare designers working on more than 6 million square feet of design solutions for healthcare clients worldwide. 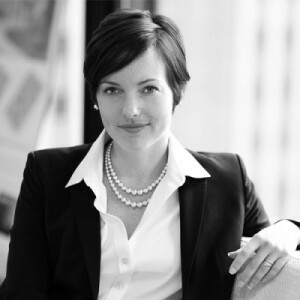 Pursuing a longtime admiration and love of architecture, Corbin graduated from the University of Virginia’s School of Architecture in 2004 and in 2005 landed in our healthcare practice, where she developed a fascination and curiosity for the healthcare field. That curiosity grew to love and Corbin pursued her MBA with a focus in Health Industry Management and Finance, in hopes of impacting health outcomes more directly from an administrative role in a hospital setting. After earning her MBA from Northwestern University’s Kellogg School of Management, Corbin took a brief hiatus from architecture and worked in a variety of renowned healthcare settings. Work with our top healthcare design professionals. Corbin returned to the profession and our firm in 2011 and rapidly earned a series of promotions, most recently in 2015 to senior vice president. She proved her knack for leadership while leading the first international healthcare SFMO® (single-firm, multi-office) effort on a US-based project between our Chicago and Mumbai teams, developing collaborative best practices to diminish physical and cultural barriers to create the best outcomes for our clients. She has pioneered a virtual resource library that provides industry and peer benchmarks for our national health practice and was a co-founder of the healthcare exchange, an internal mentoring program that encourages fellow CannonDesigners to cross-pollinate and expand their horizons beyond typical project work. Outside of the firm, Catherine mentors UVa architecture students and non-traditional MBA students who have a background in the arts. In 2016, she will speak at the ACE Summit and Expo on the topic of financing for the future and at the Qatar Emergency Medicine Conference on the topic of future-proofing the emergency department through data-driven design. We are proud to call Catherine a CannonDesigner and extend our congratulations on this well-deserved award.